Damaging the tracks that move the door up and down. Causing the door to come out of the tracks. Ruining the protective weather stripping at the bottom of the garage door. While the Mass Garage Doors Expert can fix all of these issues (and many more), it’s best to prevent your door from getting iced shut in the first place. We have some tips to help you do that. Use salt on the ground below your garage door. When the weather starts to dip below zero, get out your sidewalk salt (in a pinch, even table salt will help!). Sprinkle some salt in the area where the garage door meets the ground. This will prevent ice from forming in the area so the garage door can raise up freely. Keep the weather strip in good repair. Your weather strip is there to help keep out moisture. If it becomes cracked, it can let moisture from rain and snow leak in. When the temperature drops, that moisture becomes ice. At the beginning of winter, take a look at the weather stripping along the bottom of your door. If you see cracks or other damage, you can call Mass Garage Doors Expert to replace it for you. Have your garage door serviced regularly. The better you are about maintaining your garage door, the less chance you have of it freezing shut. Doing things like making sure all moving parts are well lubricated and old parts are replaced quickly will give you a better chance of getting your garage door open come winter time. Is It Worth Installing a Garage Heater? Some people decide that the hassle of a frozen garage door isn’t worth is and opt to install a heating system in their garage. If you find yourself working in your garage a lot in the winter, this might be a good choice for you. The right garage heating system is safer than using space heaters, and they might even be more energy efficient since you can regulate the temperature easier. You don’t have to heat your garage to the same temperature as your house; this will cost you a fortune in energy bills since your garage likely isn’t well insulated anyway. The goal is just to keep the garage above freezing temperatures. Even at these relatively low temperatures, it will prevent ice from forming around your garage door. Door Damaged or Stuck? Call Us! If you discover that your door has been damaged from freezing temperatures or your attemmpts to get it unstuck, give us a call. 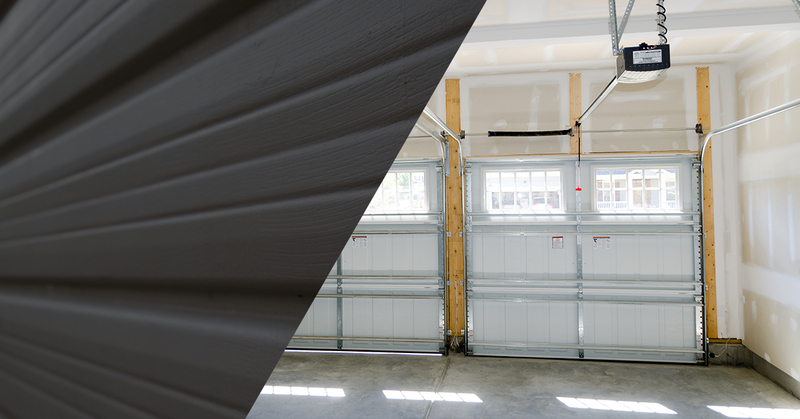 We’ve been working on garage doors in the Boston area for years and have plenty of experience with stuck and stubborn garage doors. You can give us a call or contact us through our website today.